***** A title from our extremely successful Abby series -- all TEN (!) RANKED #1 APP FOR KIDS on APP Store in many countries. 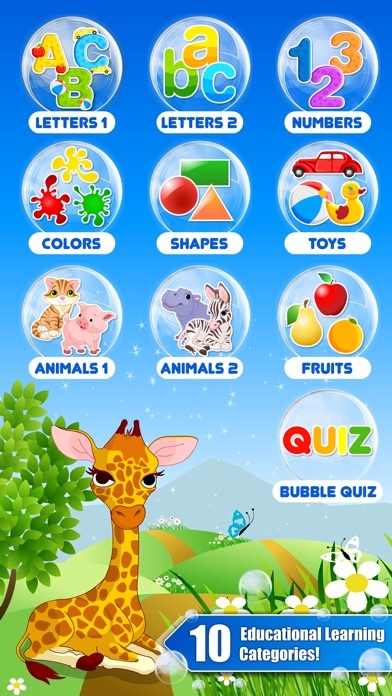 Baby Bubble School provides the most wonderfully bubbleful educational experience for kids! 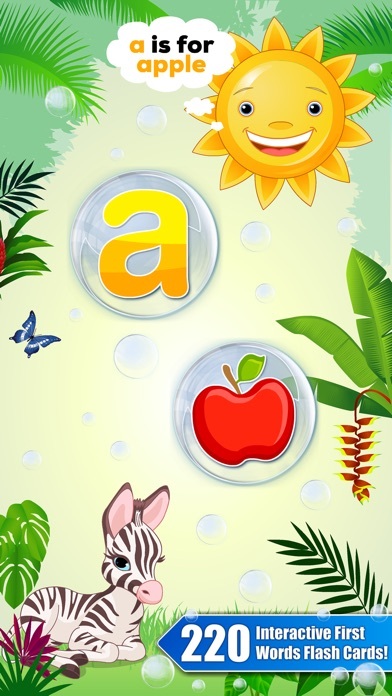 Teaching names and recognition of LETTERS, NUMBERS, SHAPES, COLORS, TOYS, ANIMALS, FRUITS, VEGETABLES and more. 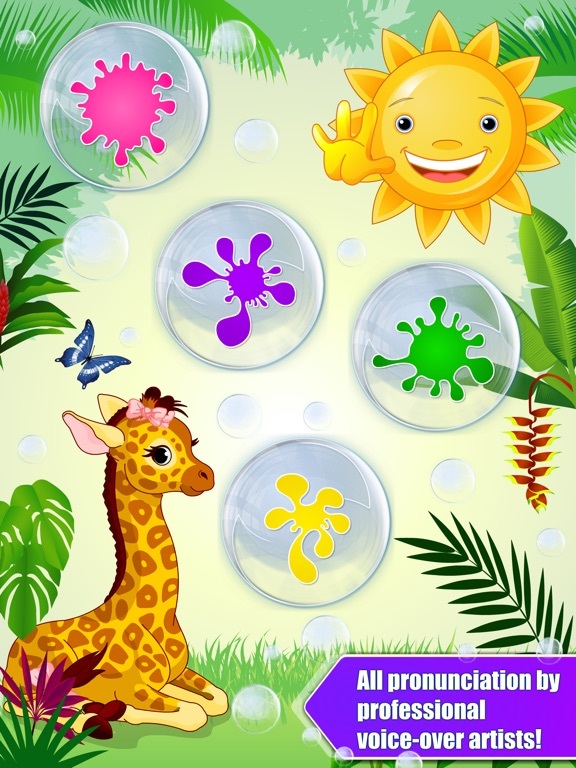 Baby Bubble School is a colorful, wonderfully bubbleful educational experience for curious young minds. 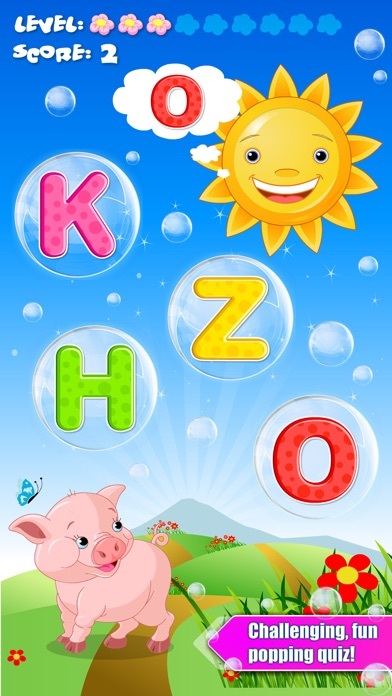 Teaching names and recognition of LETTERS, NUMBERS, SHAPES, COLORS, TOYS, ANIMALS, FRUITS, VEGETABLES and more, Bubble School makes learning awesome for all TODDLERS and PRESCHOOLERS. 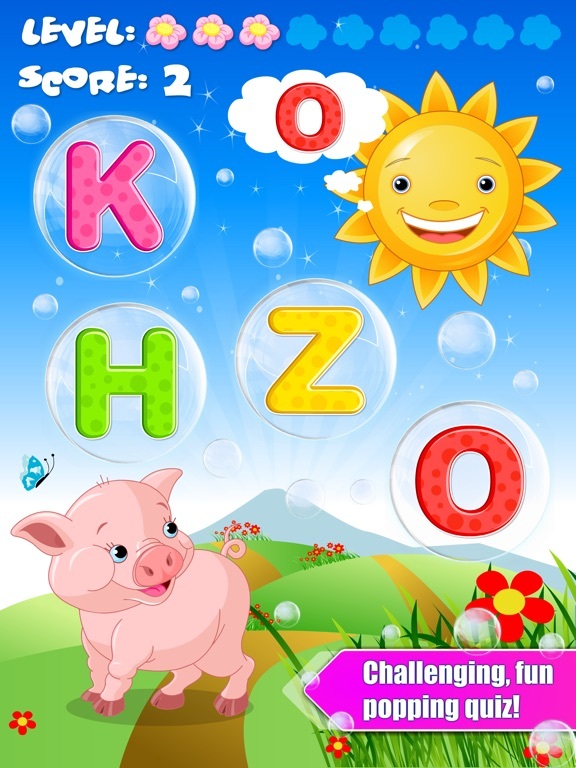 The application was developed by an award-winning education studio, 22learn, the creator of the best-selling Abby Basic Skills app in cooperation with educational experts to ensure the application is suitable for this very special age category. 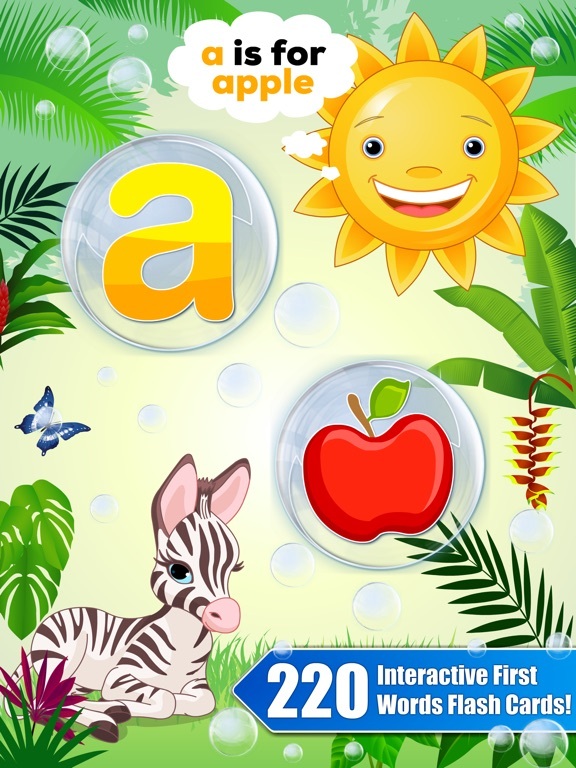 Let’s Pop: Children will love this free exploratory learning mode! 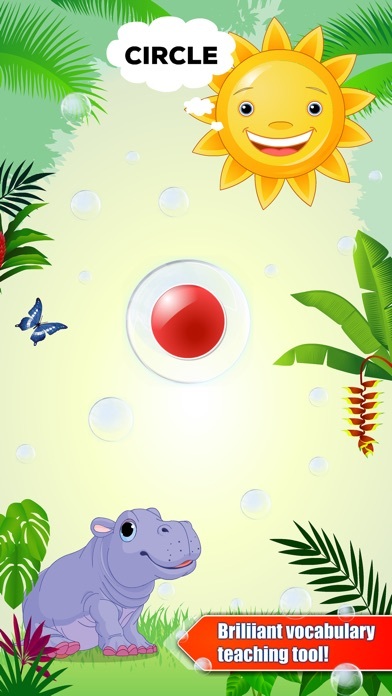 Full of bubbles with objects whose name is pronounced once the child pops the bubble, Let’s Pop is a fun little game where children can explore on their own pace. 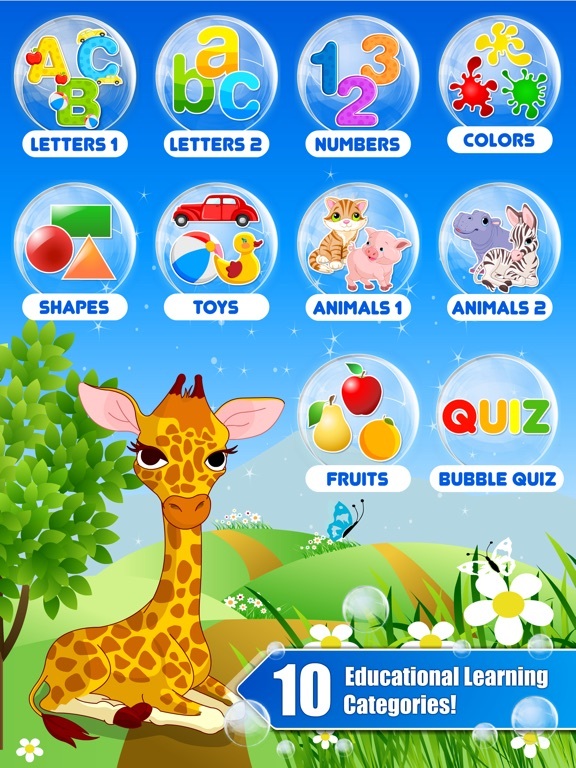 Let’s Learn: In Let’s Learn, children systematically learn the names of objects by browsing through them in either alphabetical or random order. Let’s Play: In this mode, children test their skills by tapping on bubbles filled with objects whose name is called. 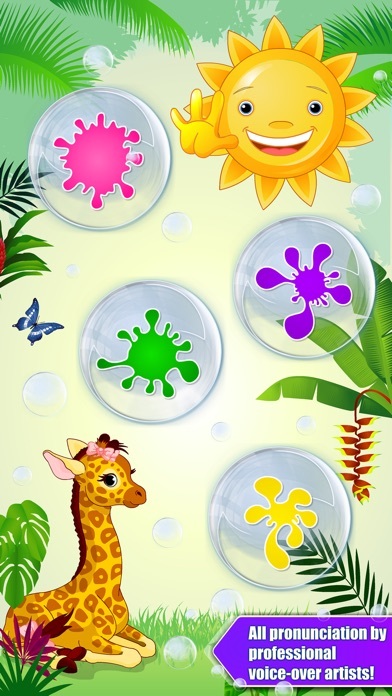 Bubbly bubbles are fun and the app’s interface is simple enough even for the youngest learners -- as simple as popping a bubble! 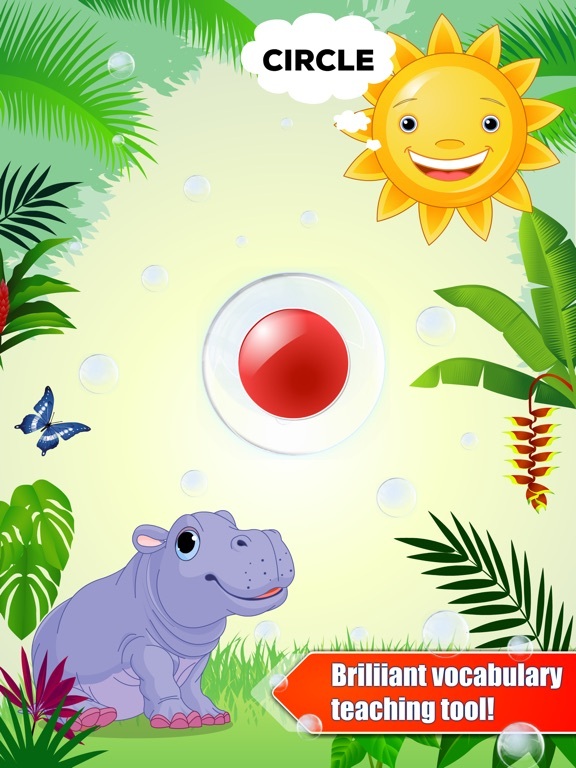 With appealing design and broad educational content, this bubbleful app is sure to provide an experience your children will love. Bubble School provides the most wonderfully bubbleful educational experience for kids!